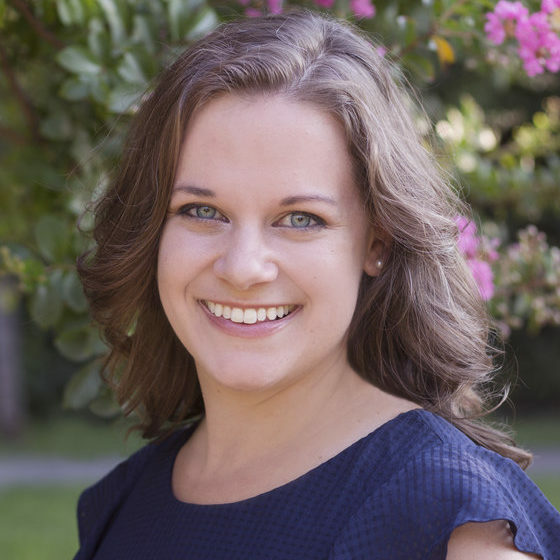 Katie is a Marriage and Family Therapist Trainee completing her master’s degree at Santa Clara University. Prior to entering the field of counseling, her professional background has ranged from music to university-level administration to teaching young children. During her time at Santa Clara, she has participated in clinical explorations of object relations theory, psychodynamic therapy, cognitive behavior therapies, and existential therapy. Additional areas of specialized study for her include complex trauma, the psychology of aging, and school-based mental health. She is particularly interested in the intersection between creativity, healing, and emotional well-being. Katie believes therapy should be an opportunity for clients to experience grace in a way that allows them to explore their past and present, to engage with the issues they are dealing with, to take ownership of their future choices, and to understand their reality in meaningful ways for the purpose of growing and flourishing. Most importantly, they will not be doing this alone, because therapy is a collaborative process. Her goal for the therapy process is to create a safe space where the relationship between counselor and client can develop authentically, so that the client has the freedom to explore and process while moving toward a deeper sense of self-awareness, meaning, and renewal. Katie considers it a privilege to come alongside her clients and join them in their journey of exploration, growth, and healing.